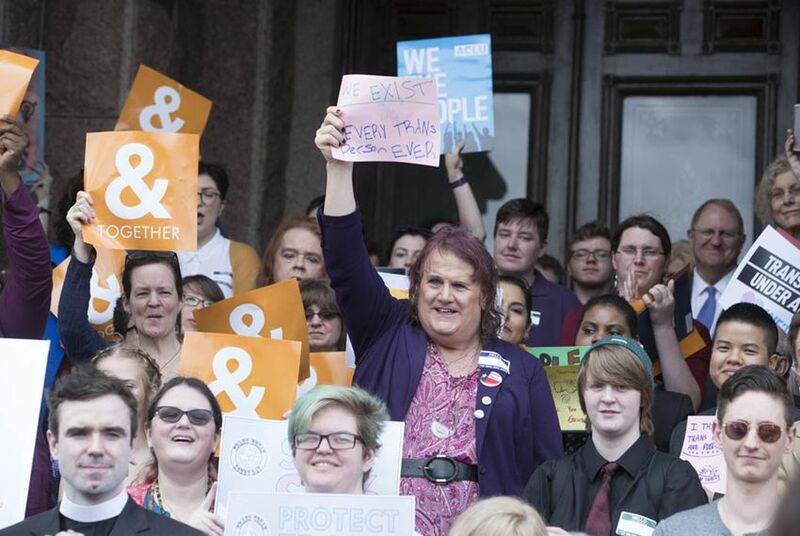 Advocates and families of transgender Texans are preparing for a special session of the Texas Legislature that's sure to continue the heated debate over which bathrooms transgender individuals are allowed to use. This summer, another conversation topic — whether their 11-year-old transgender son will lose the right to use the boys' bathroom at school — could take up much more of their discussions. On Tuesday, Gov. Greg Abbott announced he was calling lawmakers back for legislative overtime in a special session beginning July 18 — and bathroom restrictions are on the agenda. District officials and Ben’s elementary school teachers and counselors have worked with the Elder family throughout his transition by calling him by whatever name he wanted and treating him like “he wanted to be treated," Ann says. They first allowed him to use a bathroom in the nurse’s office but then signed off on letting him use the boys’ bathroom when Ann Elder realized he had been holding it in for the entire school day. Among them will be the parents of transgender children who expressed mixed feelings of relief, gratitude and frustration after the regular session ended without passage of a "bathroom bill." “To be very honest with you, this legislative session has been really hard for me,” Ann Elder said after the Legislature adjourned. “I just feel like I’m fighting a losing battle, and I don’t think anybody cares other than the other families. I’m feeling very bleak about the situation."